Social media has over the past few years become the major marketing tool for many businesses, thanks to its effectiveness not only in lead generation but also boosting conversions and sales. The truth, however, is that for a long time, many B2B companies have been adamant in adopting social media as compared to a majority of B2C businesses like retail stores that have fully understood the potential of social media marketing and fully adopted it. Surprisingly, more and more B2B companies are seeing the light and started using social media as one of the smartest lead generation tactic. According to some recent study statistics, about 87% of B2B companies rely on social media outreach to generate more leads for their businesses with a majority of the companies averagely using about 6 social media platforms! What you need to understand is that B2B companies actually work quite differently from B2C businesses irrespective of using the same social media channels. This means that while some tactics may work with B2C, they may not necessarily work with B2B. Take for instance a case whereby a buyer or customer is compelled to make an impulse purchase following an online ad; this may never be the case in a B2B scenario where clients are less likely to be compelled into making such impulse purchases. In short, while B2C businesses can use social media as a direct sales channel, B2B companies cannot do the same. 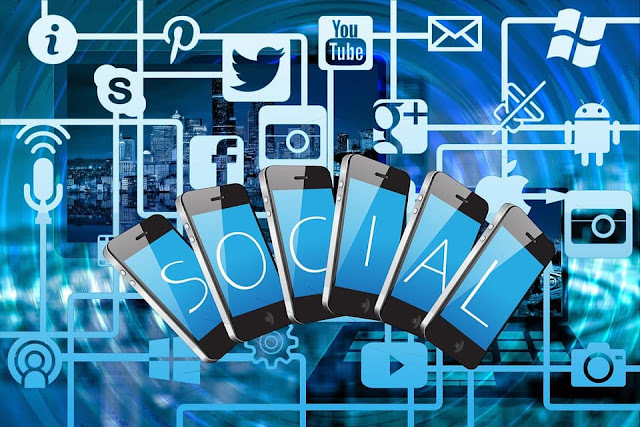 Considering the fact that your B2B prospects are already on social media and sharing information online, it is crucial to consider social media as a great tool for B2B lead-generation for your business. Choosing the right social media platform is critical for your lead generation goals. There are actually dozens of platforms available these days with each commanding a specific demographic. While some social media platforms may boast of popularity and number of active users subscribed to the platform, some are quite effective. This is exactly what you need to strictly consider bearing in mind B2B is a niche market whereby you need to generate only quality leads that can be used. Today, LinkedIn stands out as the ideal platform for B2B marketing with over 40% of all B2B marketers generating quality and relevant leads. A majority, however, still consider Facebook and Twitter for leads. The difference with this is that on Facebook and Twitter, it will be pretty costly and time-consuming. With LinkedIn, you only need to add connections to build your network, strengthen the connections over time and focus on delivering the best service to the target leads. Social media was meant to develop and nurture relationships by first working on your online brand reputation so that your target audience will get to hear about your company even before you get to meet them in person. Building a strong network over time is meant to strengthen the trust the prospects put on you before spending their money on your goods or services. The best way to go about building your network is by first connecting with industry leaders, following the target audience and other relevant connections on the social media platforms like Twitter and Facebook among others. Taking part in professional forums would also be critical in advancing your social media networking. Very few B2B marketers actually apply this tactic, leave alone doing it well as expected! In fact, it doesn’t cost anything to add a CTA link or button on your social media platforms. You can have it as a hashtag or simply a link to your website and this could change a lot of things for you. Try this next time and you will be surprised by the number of leads generated within a short period of time. You may as well use action words in your social media posts to create some curiosity on the prospects to click on the link provided and helping you to break what you intend to accomplish. You can learn how to add a CTA button on your Facebook page here. Many times marketers forget that social networking can generate a substantial number of followers and likes. Always bear in mind that your social profile reflects your brand and for that reason, can be vital in the lead generation just as is the case with your website. Well, in many cases, marketers count social media as a tool for improving SEO and sending people to their business websites. This should rather be treated as a lead generator of its own whereby quality content is posted regularly as well as having a CTA to help generate more leads on the spot. Many businesses are inclined to do business with you based on what they know about your brand. Using social media, you can easily post relevant information about your brand without necessarily having to get editors going through the content and at times even messing up with it. With the freedom that comes with social media, you can easily expose your prospects to your new innovations, learn what their needs are and be able to collaborate with those you face a common problem with. In short, social media is the simple way you can use to introduce yourself to your target market and clearly draw the line that you are an established and thoughtful leader in the industry. If you wish to generate more leads, you must ensure your content is on point and that it is well marketed. This is actually the main focus of any social media marketing campaign anywhere. You may, therefore, decide to focus on text, video, image or even combine all of them to ensure your content is well shared with the public out there. Actually, many businesses are known to create some great content, but due to poor content marketing, it all goes to waste since the target audience never gets to know of its existence. Regular posting and updating of SEO-friendly content at the right timing for your market segment will ensure your target market gets to know the existence of your content. Your everyday posts on any social media platform must be of high quality, attractive and of value. You must, therefore, endeavor to create the best quality content that will catch the attention of visitors. This may seem like a simple task but many people end up getting it wrong! Your target market is often attracted to offers given out even when it is all about giving out simple information like contact details. In order to attract your target market to give you the needed contact information, you need to offer something of value on top of the quality content created. A majority of businesses are scoring big from email marketing as a promotional channel because of using lead magnets to attract their prospects. You may, therefore, need to apply a few easy and quick lead magnets on your social media so as to take advantage of the opportunity. Paid ads are crucial in generating leads on social media. However, you need to understand that unless the paid ads are used on the right network, you will simply be wasting your hard earned money. This means that the choice of the right type of ad will go a long way in determining the number and quality of leads generated. You simply need to have a thorough understanding of your target market then making the best decision you can as regards to paid ads. It is crucial to track the performance of your social media platforms as regular as you monitor and measure your business website. It is only by tracking the performance of your social media that you will get valuable information on where to adjust and what to eliminate to guarantee better lead generation. Besides, you need to understand the effectiveness of the campaigns you are running and the ROI. This way, you will learn to be more efficient with your B2B lead generation. Including long-tail keywords is a smart way to maximize the potential of lead-generation with SEO. It is true that many B2B marketers neglect the use of these keywords not knowing it is essential in improving search engine optimization as well as enhancing lead generation. While many people associate long-tail keywords to long-form content for SEO strategy, there is absolutely no wrong with using them in your social media posts as they will even boost your generation of quality leads and sales. B2B lead generation using social media may slightly look similar to B2C marketing, however, in the implementation of the discussed tactics, you need to employ a different approach so as to generate better quality leads that will enable you to maximize on your ROI. Are you a marketer facing some sales problem? B2B content marketing might be the solution for you and learning the various tactics above, you may easily and effectively manage generating the right leads for your B2B business. I hope you enjoyed this article about top social media marketing strategies to help generate business-to-business leads and sales. Interested in more articles about social selling strategy and SMM?